Minu is a Beauty and Personal Care Analyst based in Mumbai. 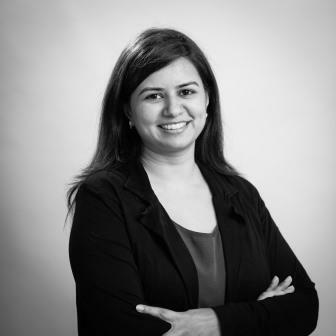 She specialises in analysing and providing insights on consumer behavioural trends and beauty and personal care market in India. ‘I was a Sari’ is an eco-ethical fashion brand that turns saris and other discarded materials into clothing and accessories. The Indian fashion project recently won the first ‘Circular Design Challenge Award’ at the Lakmé Fashion Week Summer-Resort 2019in Mumbai, India. As part of this project, an underprivileged community of women in Mumbai have made a range of products using upcycled, pre-loved saris. The winning collection is comprised of recycled plastic tarpaulin used to make a raincoat, bag, umbrella, 3D appliquéd garment, and a pair of shoes, among others. For coming up tops, ‘I was a Sari’ won a cash prize to further develop its sustainable brand. Mintel’s 2019 Global Beauty and Personal Care Trend ‘Sub-zero Waste’ observes how brands will need to make sustainability a core part of their business as simply ‘keeping up’ will not be enough. Moreover, gaining the first-mover advantage will be important, and those who put current profits ahead of investment in zero waste solutions will lose out in the long term. The Circular Design Challenge is in line with this trend and promotes circularity in fashion and sustainability across the value chain. It aims to inspire innovation and offer solutions to reduce the environmental impact of India’s fashion and textile industry. At Paris Fashion Week 2019, sustainability as a theme was visible, where sustainable clothes created by brands and designers were present more than ever. With the increased chatter and focus surrounding sustainability, brands have an opportunity to develop innovative sustainable products. Globally, consumer purchase behaviours will be governed by lifestyle choices and motivations, and will eventually percolate in India. According to Mintel research, one in four Indian consumers say that supporting environmentally-conscious businesses motivates them to lead a natural lifestyle. There will undoubtedly be a demand for products and services by brands that support sustainability and that do their part in minimising their impact on the environment. Companies that lead the initiative will have a distinct advantage over others.